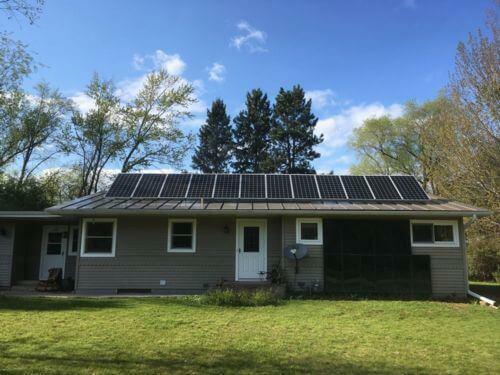 This roof mount utilizes Canadian Solar modules and a SMA inverter with Secure Power Supply (SPS) offering emergency power when the grid is down and sun is shining. The array is estimated to produce 2,496 kWh each year offsetting 2/3 of the annual electric use. 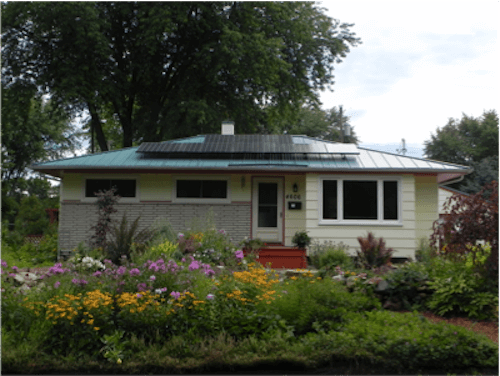 Residential solar PV system on two different roof planes with steel shake shingles. 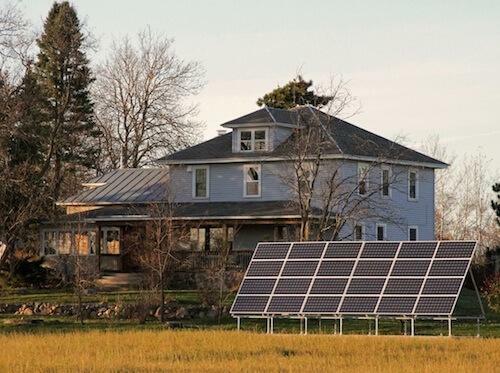 This system offsets nearly 100% of their annual energy use. 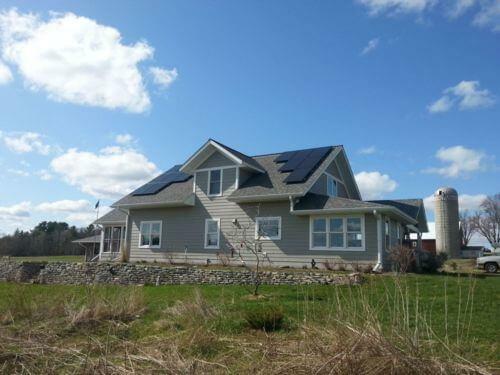 10.2kW solar PV system on a homestead south of Medford. 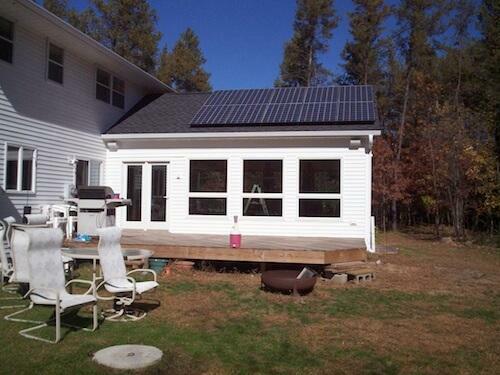 This system utilizes two SMA inverters. 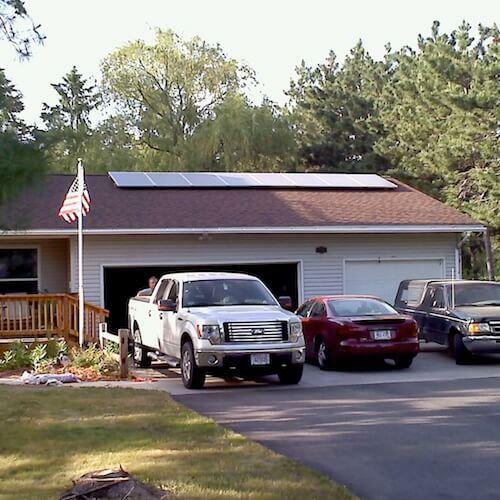 Residential PV system highlighted by 14, 325 watt SolarWorld PV modules and a SolarEdge 3,800 watt inverter. Small roof mounted PV system pitched up to optimize winter performance. 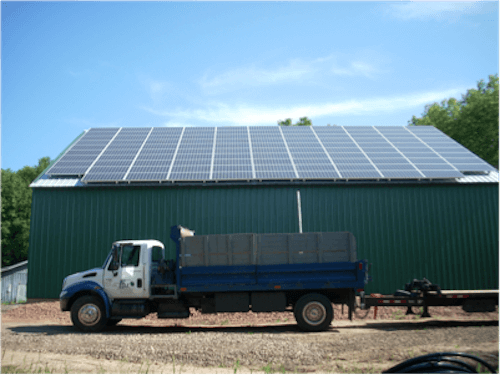 28, 345 watt PV modules on a corrugated metal rooftop. 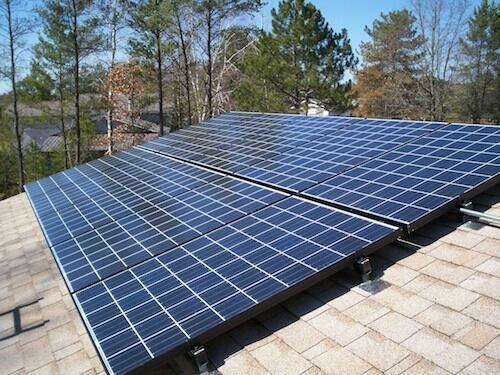 The system is powered with the SolarEdge 7,600 HD Wave inverter and DC power optimizers. 6.2kW roof-mounted solar PV system using 18, 345 watt SolarWorld modules and powered by a SMA Sunny Boy 6,000 watt inverter. 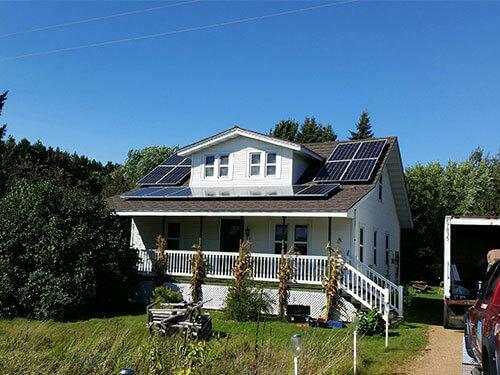 Rooftop PV system estimated to offset 77% of the homes energy use. 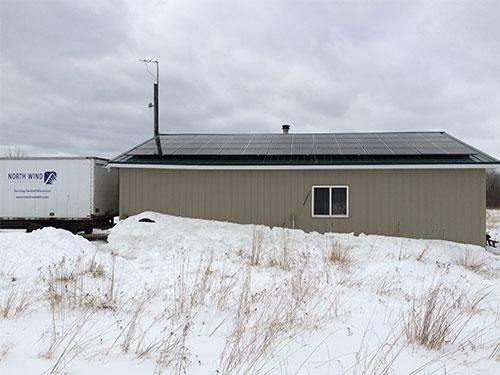 This is a ground-mounted PV system located just east of Wausau that will generate 12,000kWh per year, offsetting 100% of the clients annual energy use. 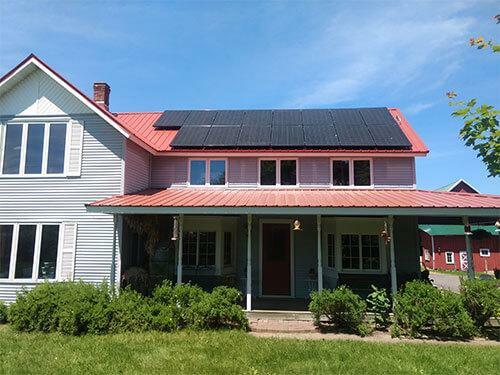 This residential PV system was built with 20, 320 watt QCells PV modules and an SMA Sunny Boy inverter and is estimated to generate nearly 7,000kWh per year. 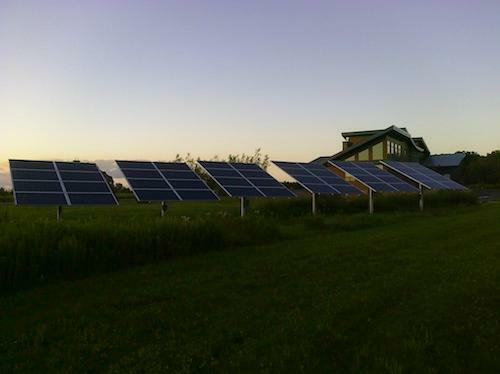 This PV system is estimated to generate nearly 10,000kWh each year! 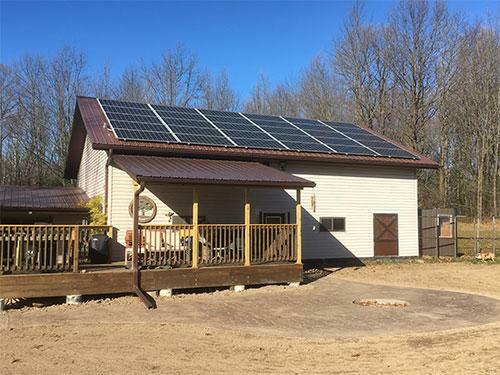 Powered by an SMA Sunny Boy inverter and 28, 320 watt QCells modules, it again proves that solar works great even in northern Wisconsin! 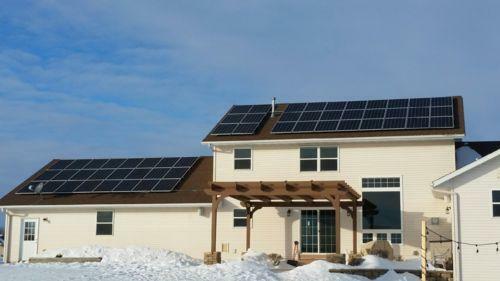 Roof-mounted PV system utilizing 28, 300 watt Hanwha QCells PV modules and an SMA Sunny Boy 7,700 watt string inverter. This system also features the SPS system which provides up to 2,000 watts of critical load power during a daytime grid-outage. 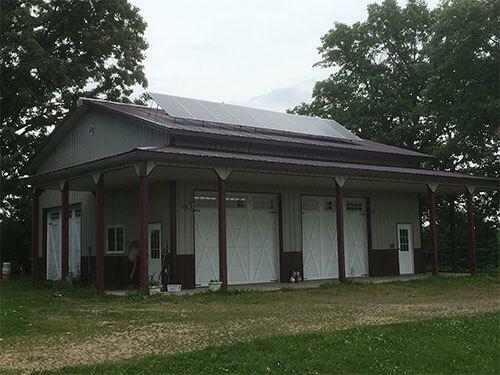 This roof-mounted PV system features 12, 290 watt Seraphim PV modules and the Pika Energy Islanding Inverter which will allow for plug-and-play battery integration for self-supply and backup power. This system is also equipped with Egauge home monitoring. 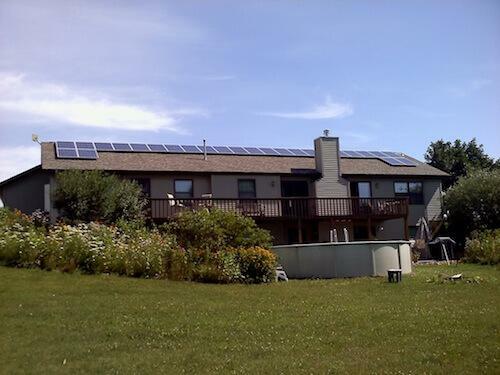 Residential rooftop PV system with 15, 300 watt PV modules and an SMA Sunny Boy inverter. 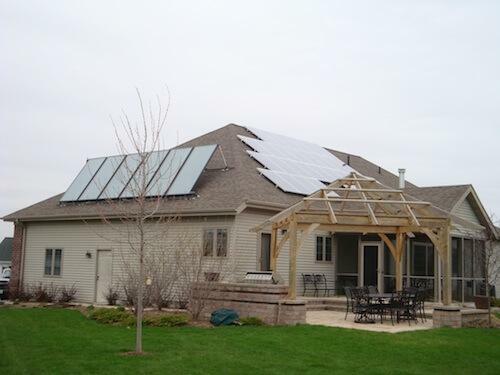 This is a 10.4kW roof mount that utilizes south and east facing roof planes of the home. 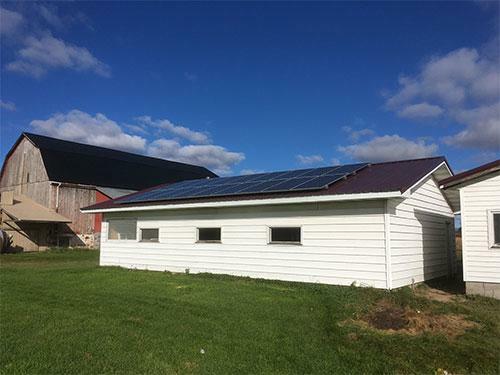 This particular site also had shading challenges so to mitigate the roof planes and shading we installed a SolarEdge 10kW inverter with DC power optimizers that help mitigate losses from shading and mismatch while optimizing power production of each individual module. 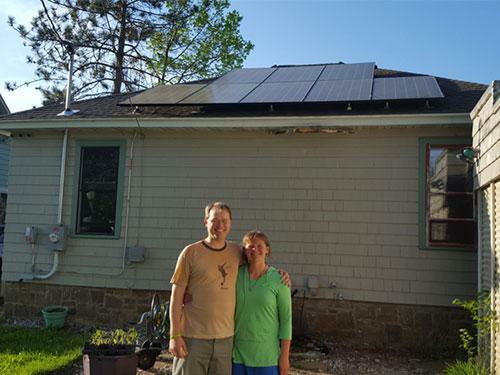 This roof mount utilizes SolarWorld modules and a SolarEdge 3,800 watt string inverter with module-level power optimizers. 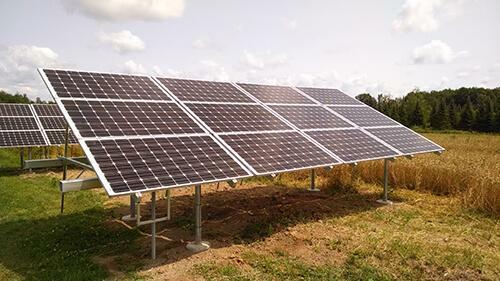 The array was pitched to 30 degrees using a Solar Wedge array tilt kit and is estimated to generate over 4,700kWh each year. Here's a 15kW roof mount comprised of 54, 285 watt SolarWorld modules and two SolarEdge string inverters with module-level power optimizers. 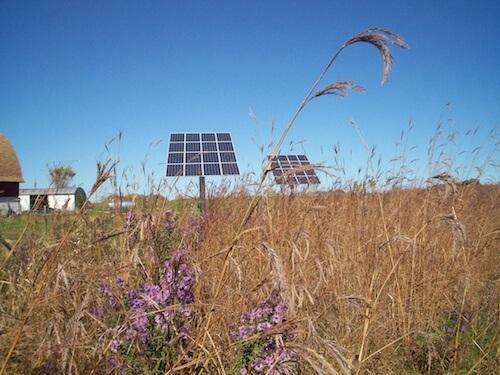 This system is estimated to generate over 20,000kWh annually. 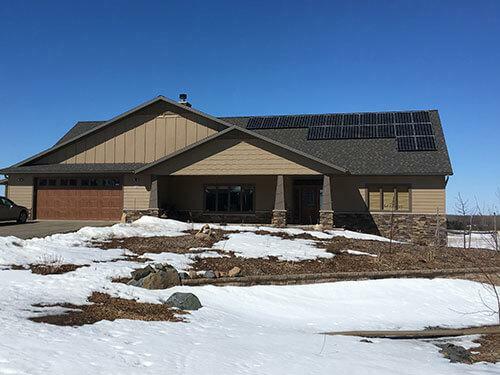 This project was a great example of a home that took steps to first reduce their electric consumption through energy efficiency measures and conservation, and then made a wise investment into solar. 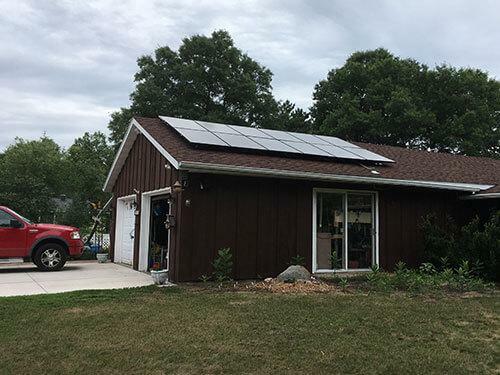 This small residential system in urban Waukesha is estimated to produce about 5,000kWh/year from an east-facing roof plane, nearly offsetting 100% of their annual usage! 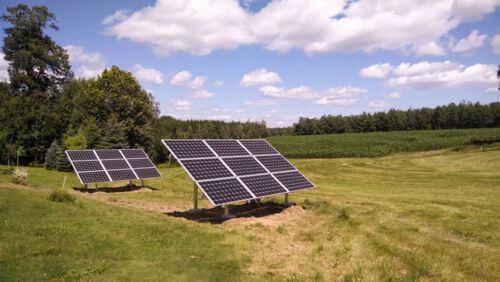 Another beautiful installation in the lovely Amherst countryside. 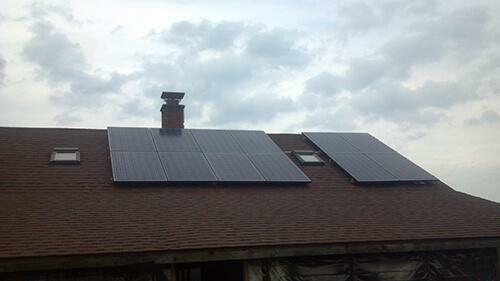 This system was installed using 20, 325 watt SolarWorld modules and a 6,000 watt SMA Sunny Boy inverter. It's estimated to produce over 7,600 kWh's each year, offsetting 100% of the clients annual electric consumption! 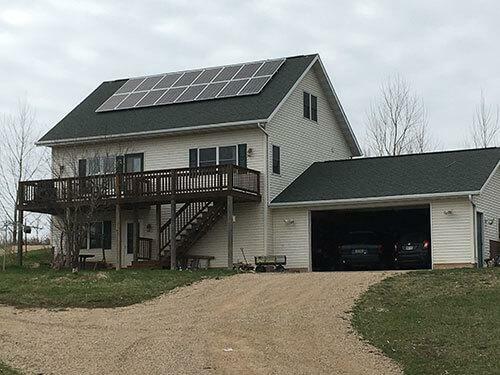 After installing a PV system on their property in the city of Stevens Point, this client decided to power their country home with solar. 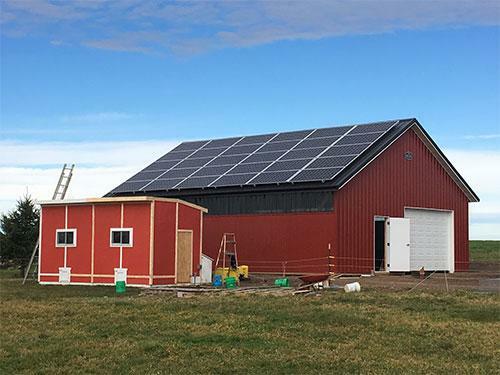 This system is comprised of 15, 315 watt Solar World modules and a 5,000 SMA Sunny Boy inverter and will offset 100% of their annual electrical usage! 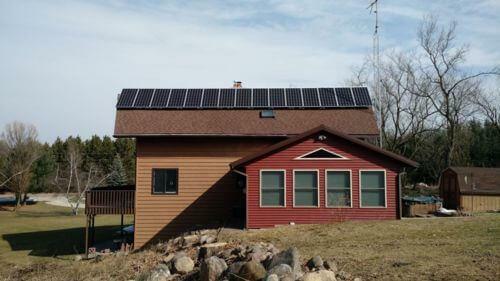 This is “Phase 2” of a two-stage installation for a home in Stone Lake, WI. 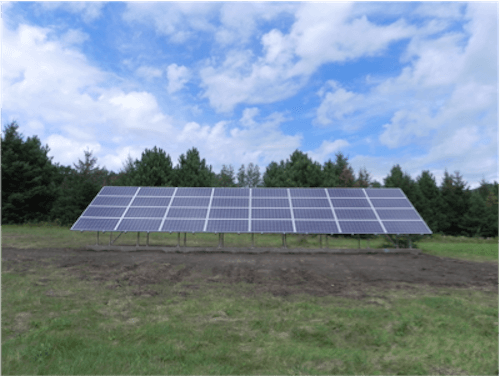 These ground mounted arrays were installed in the Wausau countryside with 18 Solar World modules and a SMA Sunny Boy 5,000 watt inverter. This was an add-on to an existing PV system. 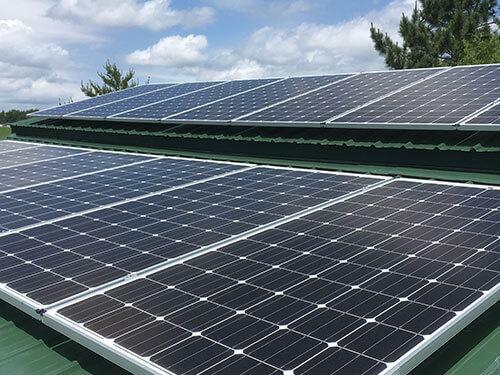 16, 250 watt Sharp modules were installed on a top-of-pole mount to increase the PV capacity. 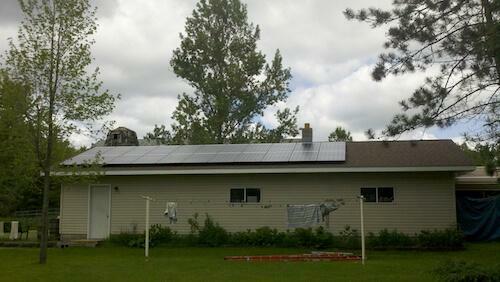 This is "Phase 1" of a two phase installation in Stone Lake. 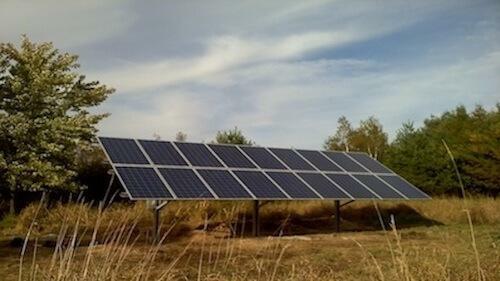 This system is built using Solar World modules and Fronius string inverters. 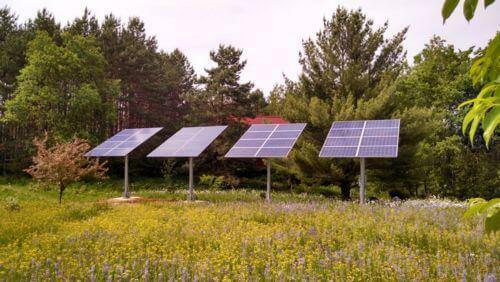 This system is powered using 16, 275 watt Solar World modules and a 4,200 Power One string inverter. 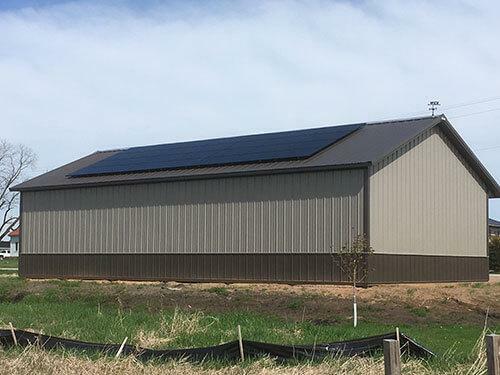 This roof mounted system was built using 21, 315 watt Solar World modules. 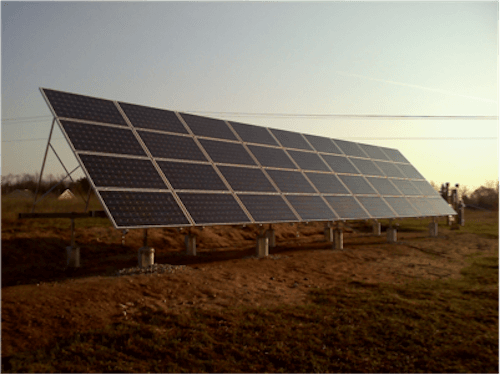 Ground mounted system is comprised of three racks with a total of 36, 280 watt Solar World Sunmodules in landscape orientation. 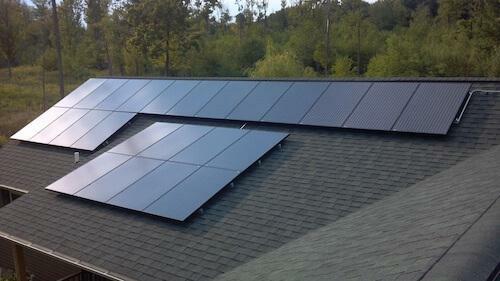 Residential PV system comprised of 12, 250 watt Sharp modules with black-on-black cells and framing. Second top of pole mount added to existing system. 15, 250 watt Sharp modules. 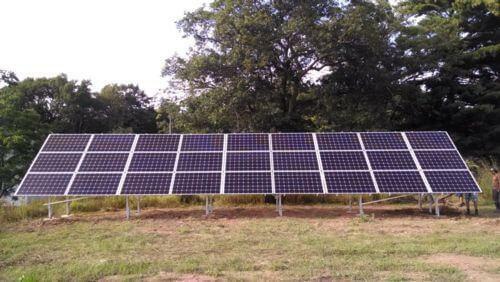 Grid-tied, ground-mounted PV in the Marshfield countryside. System made up of 18, 250 watt modules. Roof top solar in Rudolph. System built with 78, 245 watt Mage modules. 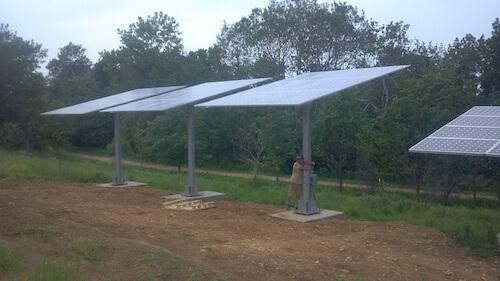 This ground mounted, fixed-tilt system was built with 55, 250 watt PV modules. 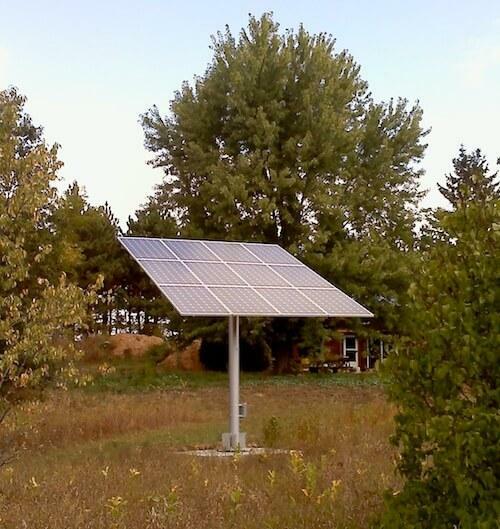 This single top of pole mount system was installed using 12, 250 watt PV modules. 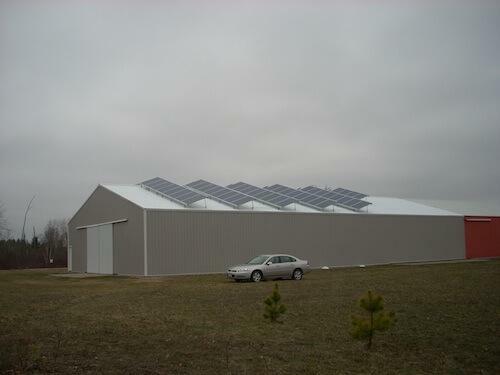 The array is adjustable to maximize seasonal production. Top of Pole mounts using 36, 250 watt added to a past NWRE installation. 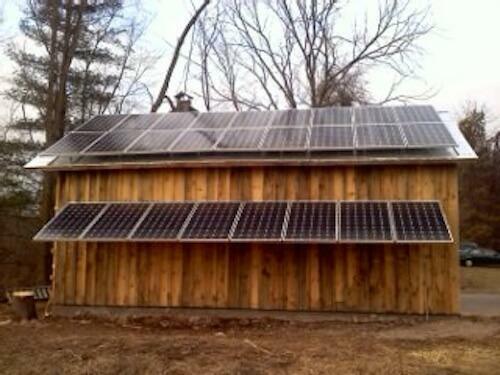 Love that solar! This installation was done in two phases. 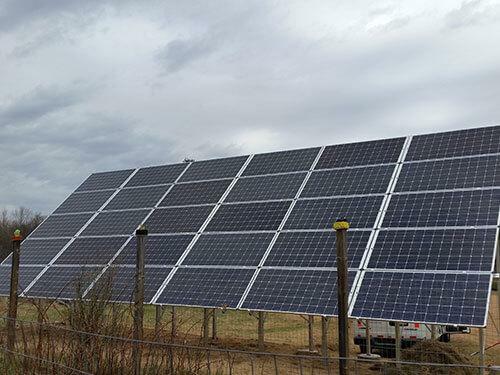 During the first phase, the system’s infrastructure was installed along with 4, 240 watt modules. 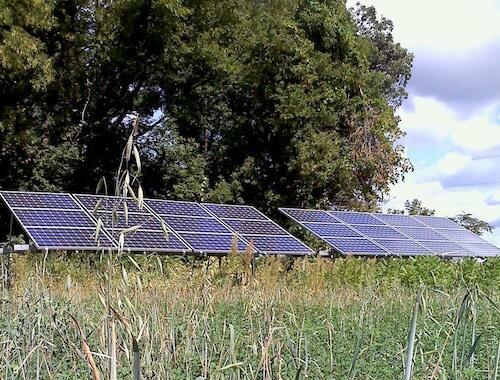 Two years later, 4 more 250 watt modules were added for more solar capacity. 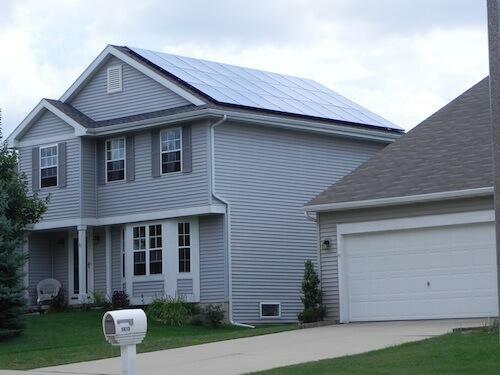 Roof-mounted, grid-tied residential PV using 16, 250 watt PV modules. 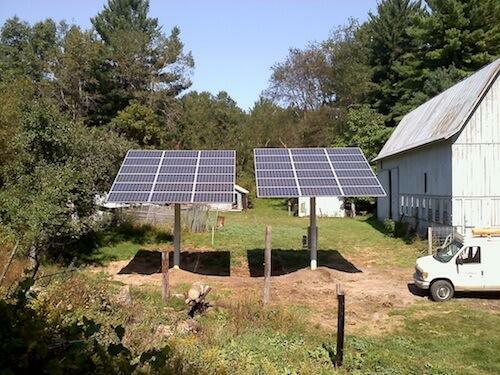 This is a small grid-tied system using 12, 250 watt modules. This ground mount is seasonally adjustable to maximize production throughout the year. Roof-top solar built with 52, 250 watt modules. 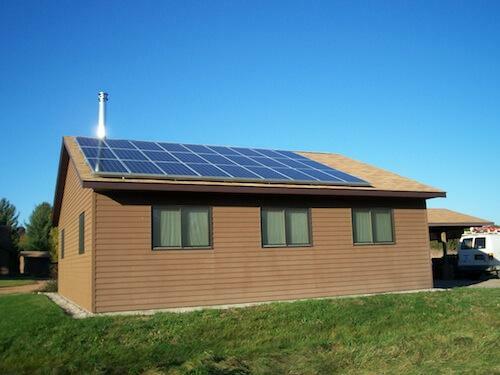 Small grid-tied residential system made up of 8, 230 watt modules. 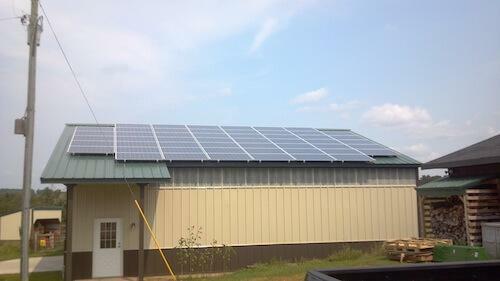 This roof mount was installed using 24, 245 watt modules. 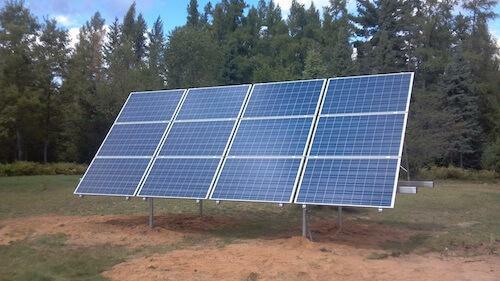 Grid-tied, ground-mounted installation using 24, 250 watt PV modules. This system is manually adjusted to maximize seasonal production. 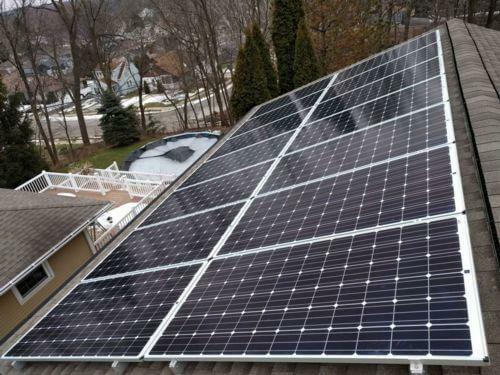 Residential rooftop solar installed using 22, 250 watt modules. Here's a local roof mounted system. 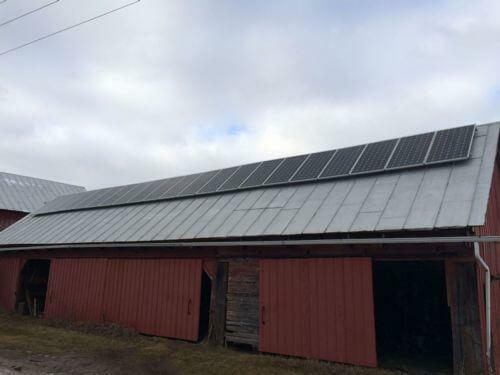 This array was built with 108, 180 watt PV modules. Residential roof top solar. 26, 230 watt PV modules. 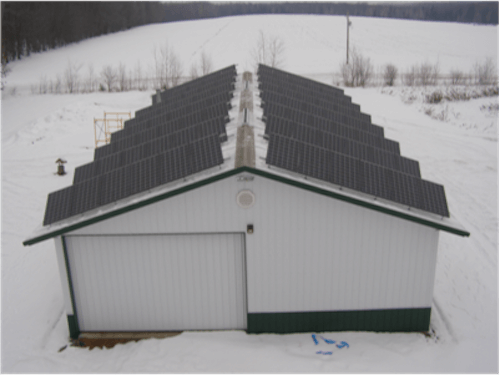 Grid-tied PV system comprised of two seasonally adjustable top of pole mounts. 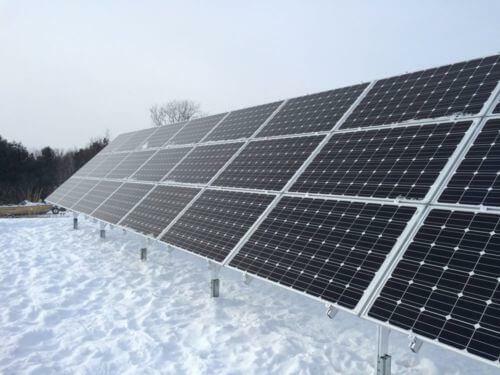 This is a seasonally adjustable ground mount array made up of 24, 190 watt PV modules. Small, residential top of pole mount, grid-tied system with battery backup. 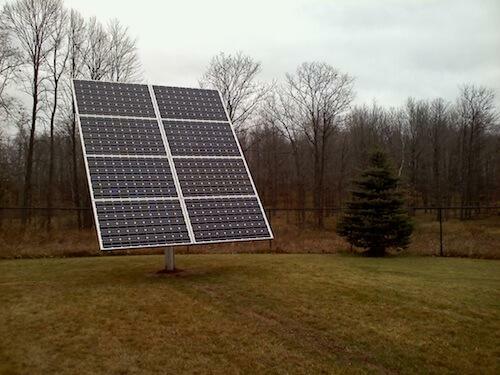 This system is comprised of six top of pole mounts using 48, 230 watt PV modules. 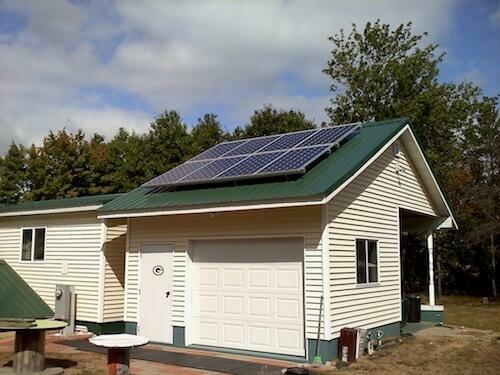 Here is a roof-mounted system with added solar awning below. The system was built using 26, 240 watt modules. 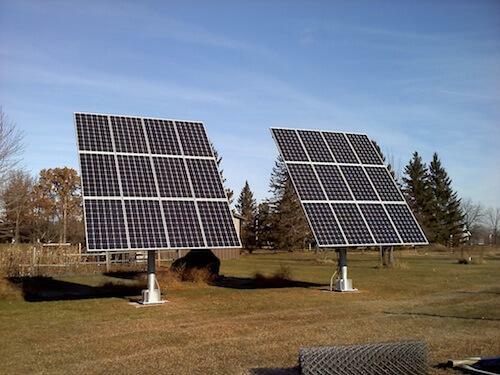 Here are two seasonally adjustable, top of pole mounts featuring a total of 36, 190 watt PV modules. 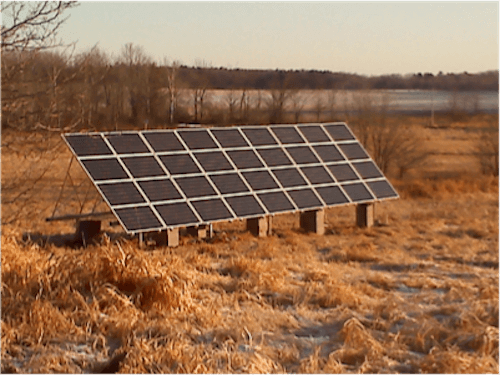 Seasonally adjustable ground array using 36, 180 PV modules. 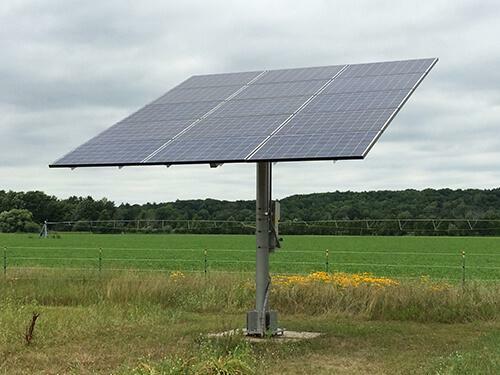 Grid-tied, seasonally adjustable ground-mount with 36, 180 watt PV modules. Grid-tied, roof mounted PV with a 6 collector solar thermal system. Roof top solar using 20, 210 watt modules. 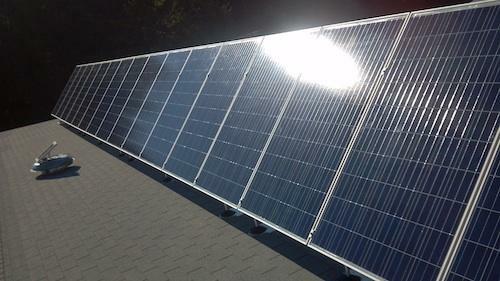 Local grid-tied PV system with 10, 210 watt modules. Roof top solar installed in a saw-tooth configuration. 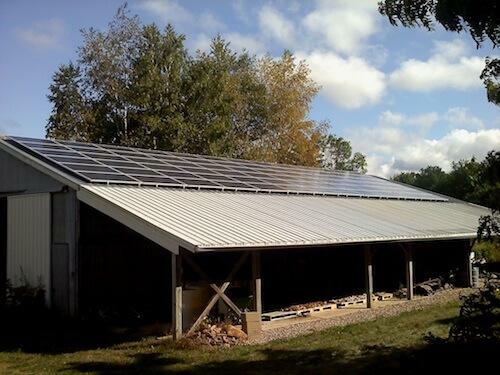 This grid-tied system was installed using a "saw tooth" configuration and features 86, 230 watt PV modules. Roof mounted solar in the state capital. 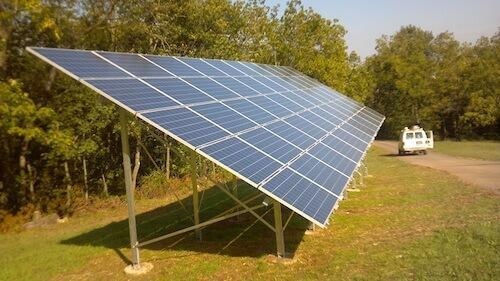 This system is made up of 27, 210 watt PV modules. Grid tied, roof mounted PV system. Two grid-tied, top of pole mounts in rural Central Wisconsin. 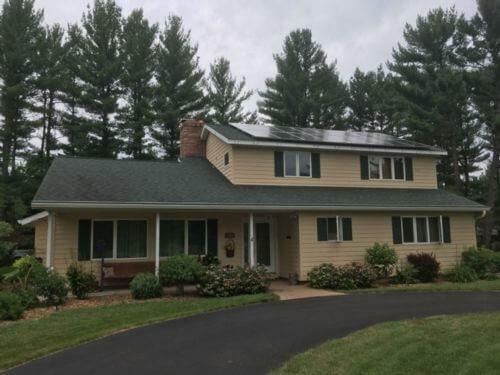 Small residential PV system using 10, 210 watt modules installed on a standing seam metal roof. 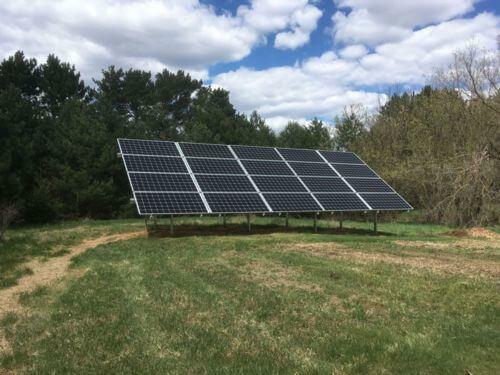 Grid-tied, ground mounted solar PV system built with 32, 185 watt modules.